Knurled cup point socket set screws are very similar to standard cup point set screws except there are knurls that generate around the cup point to help it lock in place. This improves grip and prevents the set screws from loosening or backing out during vibration. 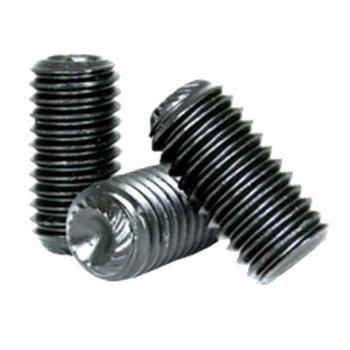 RC Fasteners & Components is your #1 source for knurled set screws in alloy black oxide in both inch and metric sizes. Check out our prices too. We think you'll be pleasantly surprised.